Not every chapter in the galactic patent battle between Apple and Samsung is destined to be a page-turner, and such was the case with the recent partial retrial to decide how much extra in damages Sammy owes Cupertino. The 8-member jury came back with a figure today, saying Samsung must pay Apple $290 million (about £179.4m, AU$314m) in addition to what it already owes, bringing the total figure to more than $900 million (about £556.8m, AU$973.1m). The amount is close to what Apple sought in the retrial. The company was after damages related to 13 Samsung phones and tablets that another jury determined last year violated patents covering the iPhone and iPad. As reported by the San Jose Mercury News, the retrial jury broke down damages by device; the Infuse 4G cost Samsung nearly $100 million (about £61.9m, AU$108m), while the Droid Charge racked up $60 million (about £37.1m, AU$65m). Not bad for 2-year-old phones. Samsung, which said additional damages shouldn't be more than $52 million (about £32.1m, AU$56.4m), will appeal this ruling. But until that process gets off the ground, we have the next segment in the frenemy saga to look forward to. In March, both will be back in court for yet another argument over patents. 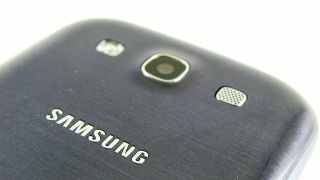 Unlike the 2012 trial, 2014's will tackle whether current Samsung products, such as the Galaxy S3, violate Apple's IP. Additionally, earlier this week Apple scored another chance to ban some Samsung phones and tablets from being sold in the US. A federal appeals court found that presiding Judge Lucy Koh made some errors in denying Apple's request to ban 26 Samsung products, and has ordered a re-examination of evidence. This leaves the door open for an injunction and could impact devices in the 2014 trial. Update: Both Apple and Samsung have responded to the verdict. "For Apple, this case has always been about more than patents and money," the company said in a statement to AllThingsD. "It has been about innovation and the hard work that goes into inventing products that people love. While it's impossible to put a price tag on those values, we are grateful to the jury for showing Samsung that copying has a cost." For its part, Samsung confirmed it will appeal the decision: "We are disappointed by today's decision, which is based in large part on a patent that the U.S. Patent and Trademark Office has recently deemed invalid. While we move forward with our post-trial motions and appeals, we will continue to innovate with groundbreaking technologies and great products that are loved by our many customers all around the world." Take a break from all the legal talk and take a bit out of our hands on PS4 review.